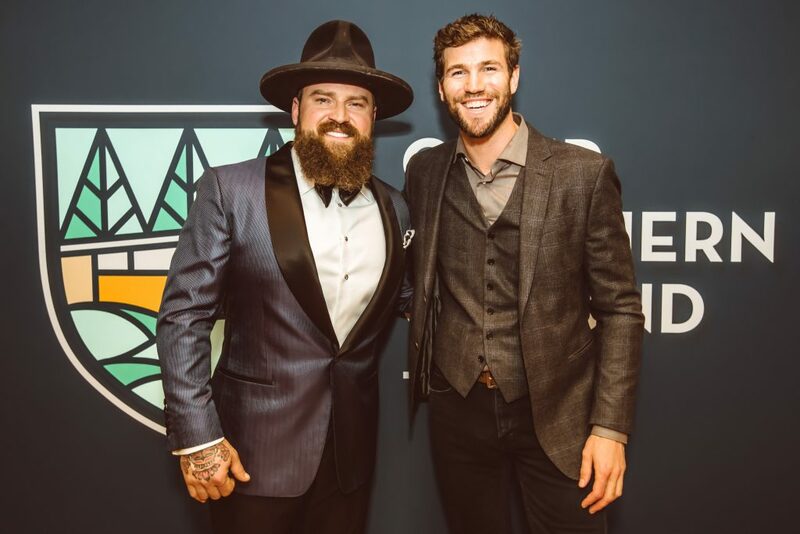 Last Friday, multi-platinum GRAMMY award-winning artist Zac Brown, of Zac Brown Band, hosted a benefit for his non-profit passion project, Camp Southern Ground. The second annual Evening to Remember fundraiser raised 1.7 million dollars for the camp located in Fayetteville, GA. Guests this year included Chef Emeril Lagasse, helping Zac Brown Band Executive Chef Rusty Hamlin with the dinner menu, and ‘Avengers’ star Chris Hemsworth. Both donated items to the evenings live auction. Zac Brown Band took the stage to close the night with a private performance to celebrate another successful year for Camp Southern Ground. Camp Southern Ground stretches across more than 400 acres and serves children ages 7-17, from all socioeconomic backgrounds, races and religions, with activities to challenge, educate and inspire campers. As an inclusive camp, Camp Southern Ground brings together typically developing children, children with Autism Spectrum Disorders (ASD), learning and attention issues, social or emotional challenges, and those with family members serving in the military. For more information check out Camp Southern Ground’s Twitter post here! For more information on the Zac Brown Band, visit their website at zacbrownband.com and follow them on Facebook and Twitter. Luke Bryan Knows “What Makes You Country”…Available Today!